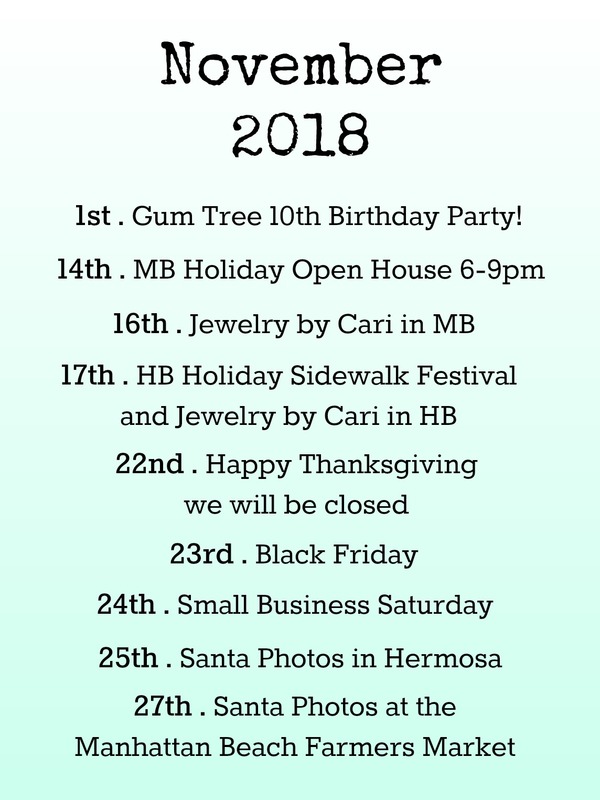 Gum Tree Hermosa is turning 10 on November 1st! It is because of you that we are still open and thriving, thank you!!! We hope you’ll join us next Thursday in our Hermosa shop. We’ll be spinning a wheel for discounts, and serving treats and drinks. Rumor has it we’ll be extending the fun for the first 10 days of November…make sure you’re following us on Instagram for all the details. To prepare for the big party, and to transform our shops into Winter Wonderlands, we will be closed on Halloween Day. But the cafe will be open from 7:30-4. We’ve got so many events coming up, so we thought we’d give you a handy list by month so you can mark your favorites down on your calendar. Of course we hope you’ll join us this Sunday Downtown Manhattan Beach for the Skechers Pier to Pier Friendship Walk and the Pumpkin Races! Don’t forget to pop into your favorite downtown MB businesses for some trick or treating, we’ll be ready for you and your trick or treater’s with candy! 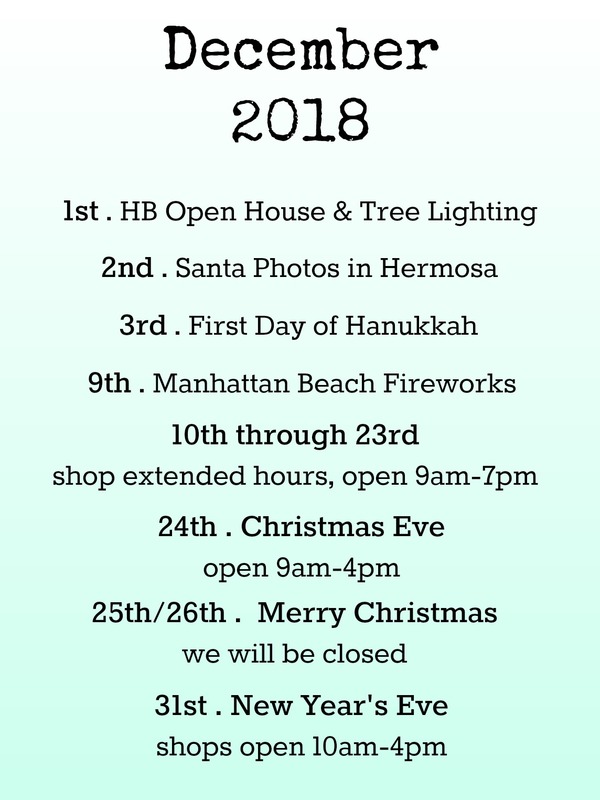 Santa is back in Hermosa twice this year photographed by the fabulous Missy Marie Photography, with all proceeds going to HBEF! And for the first time ever, we’ve added a Manhattan Beach Santa date! 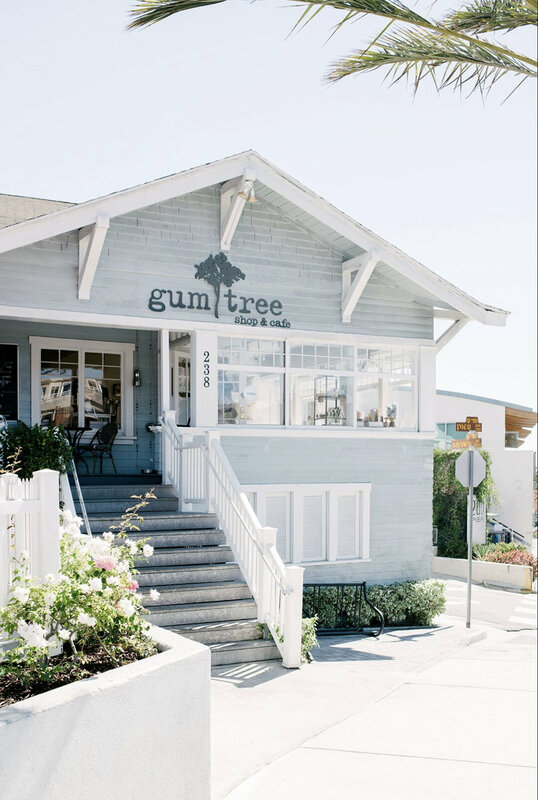 Tuesday, November 27th we’ll be pulling our Gum Tree Airstream up to the Manhattan Beach Farmer’s Market! Our Santa will be there, yep the same one we’ve had every year, and talented local photographer Anne Marie Crotty of AM Photo will be taking the pics. All proceeds from this day’s event will go to the Roundhouse Aquarium Teaching Center! Thanks again for all of your support these past 10 years. We hope to see you all soon.